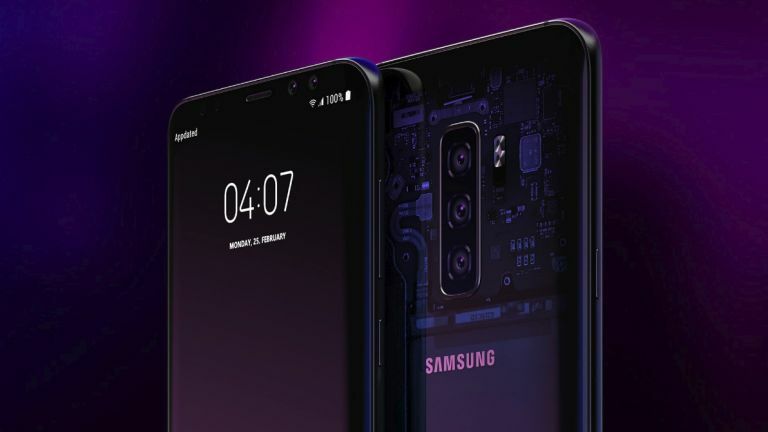 Smartphone enthusiasts currently torn between upgrading to one of Apple's incoming new iPhones, or waiting until the Samsung Galaxy S10 is released next year, may have just had a key piece of their purchasing puzzle slotted into place. That's because smartphone component maker Qualcomm's financial chief, George Davis has stated that it appears Apple will not be using its modems in its 2018 iPhone range. And, while Davis didn't say which company could be supplying the modems for Apple's new iPhones, Intel has emerged at the likely candidate. "Overall, the cellular performance of Android smartphones based on the Snapdragon 845 outpaced the Intel devices in every evaluated metric." This isn't just empty bluster by Qualcomm, either, with its claim backed up by a report conducted by independent Speedtest app maker Ookla earlier this week, proving that the Qualcomm chip outperformed Intel chip on the same networks. And, the Intel chip wasn't even close either. The Qualcomm Snapdragon 845 was shown to download data 53 per cent faster than Intel's XMM 7480 chip, and 68 per cent faster than Intel's XMM 7360 modem on T-Mobile's network, for example. Evidence suggests Apple's new iPhones will struggle to keep pace in terms of download speeds with the Samsung Galaxy S10. The result of this for phones users? It looks like unless Intel pulls out a brand new mobile chip out of nowhere, which is highly unlikely according to phone industry analysts, then this year's new iPhone range could lag behind not just next year's flagship Android smartphones, such as the Samsung Galaxy S10, but also some of this year's too. For example, the Samsung Galaxy S9, LG G7 ThinQ and HTC U12+ use the Qualcomm chips and are already released, while devices such as the Google Pixel 3, LG V40 ThinQ, and Samsung Galaxy Note 9 are slated to be using them too. Why would Apple be potentially using the slower Intel chips? That stems from a patent war between the two companies that started in 2017 and, as seemingly evidenced by these developments, still hasn't been settled. Many Android flagships, like the Samsung Galaxy S9 and HTC U12+, use Qualcomm's 4G modem chips. Of course, download speeds are only one part of the overall smartphone package, however, with everyone in the mobile industry gearing up for 5G phones and networks, it would still be a blow if Apple's latest and greatest devices were handicapped in this way. Things can change very quickly in the smartphone industry, though, so watch this space for further developments as we approach Apple's big iPhone event in September.